2. Слепцова Т.В., Алексеева Е.И., Савостьянов К.В. и др. Высокая эффективность канакинумаба у пациента с поздно диагностированным криопиринассоциированным синдромом (синдром CINCA) // Педиатрическая фармакология. — 2015. — Т. 12. — № 4. — С. 456–461. [Sleptsova TV, Alexeeva EI, Savostianov KV, et al. High efficiency of Kanakinumabum for a patient with a late diagnosed chronic infantile neurological cutaneous articular syndrome (CINCA). Pediatric pharmacology. 2015;12(4):456–461. (In Russ.)] doi: 10.15690/pf.v12i4.1428. 3. Слепцова Т.В., Алексеева Е.И., Савостьянов К.В. и др. Опыт применения канакинумаба у пациента с тяжелым криопирин-ассоциированным синдромом (синдром CINCA/NOMID) // Вопросы современной педиатрии. — 2014. — Т. 13. — № 3. — С. 97–103. [Sleptsova TV, Alexeeva EI, Savost’yanov KV, et al. Experience in application of Canakinumab in patients with cryopyrinassociated syndrome (syndrome CINCA/NOMID). Current pediatrics. 2014;13(3):97–103. (In Russ.)] doi: 10.15690/vsp.v13i3.1035. 4. Гатторно М. Аутовоспалительные заболевания у детей // Вопросы современной педиатрии. — 2014. — Т. 13. — № 2. — С. 55–64. [Gattorno M. Autoinflammatory diseases in children (The Lecture from 18th of September 2013, Conference «Topical Problems of Diagnostics and Treatment of Juvenile Rheumatoid Arthritis» (18–20 of September, 2013, St. Petersburg)). Current pediatrics. 2014;13(2):55–64. (In Russ.)] doi: 10.15690/vsp.v13i2.973. 5. HGMD Professional [Internet]. Human Gene Mutation Database; 2016. TNFRSF1A [cited 2016 Aug 5]; [about 1 p.]. Available from: http://www.hgmd.cf.ac.uk/ac/gene.php?gene=TNFRSF1A. 6. Shinar Y, Obici L, Aksentijevich I, et al. Guidelines for the genetic diagnosis of hereditary recurrent fevers. Ann Rheum Dis. 2012; 71(10):1599–1605. doi: 10.1136/annrheumdis-2011-201271. 7. Алексеева Е.И., Савостьянов К.В., Слепцова Т.В. и др. Клинические и молекулярно-генетические особенности аутовоспалительных синдромов у детей // Вопросы современной педиатрии. — 2015. — Т. 14. — № 3. — С. 363–373. 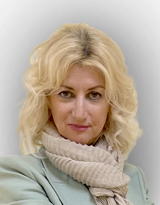 [Alexeeva ЕI, Savostyanov KV, Sleptsova ТV, et al. Clinical and molecular genetic features of autoinflammatory syndromes in children. Current pediatrics. 2015;14(3):363–373. (In Russ.)] doi: 10.15690/vsp.v14i3.1372. 8. NCBI [Internet]. National Center for Biotechnology Information: National Library of Medicine (US) [cited 2016 Aug 5]; [about 1 p.]. Available from: http://www.ncbi.nlm.nih.gov/. 9. Barron K, Athreya B, Kastner D. Periodic fever syndromes and other inherited autoinflammatory diseases. In: Textbook of pediatric rheumatology. Ed by Cassidy J.T., et al. 6th ed. Elsevier Saunders; 2011. p. 642–660. 10. Kitley JL, Lachmann HJ, Pinto A, Ginsberg L. Neurologic manifestations of the cryopyrin-associated periodic syndrome. Neurology. 2010;74(16):1267–1270. doi: 10.1212/WNL.0b013e3181d9ed69. 11. Ahmadi N, Brewer CC, Zalewski C, et al. Cryopyrin-associated periodic syndromes: otolaryngologic and audiologic manifestations. Otolaryngol Head Neck Surg. 2011;145(2):295–302. doi: 10.1177/0194599811402296. 12. Lachmann HJ, Papa R, Gerhold K, et al. The phenotype of TNF receptor-associated autoinflammatory syndrome (TRAPS) at presentation: a series of 158 cases from the Eurofever/EUROTRAPS international registry. Ann Rheum Dis. 2014;73(12):2160–2167. doi: 10.1136/annrheumdis-2013-204184. 13. Drenth JP, van der Meer JW. Hereditary periodic fever. N Engl J Med. 2001;345(24):1748–1757. doi: 10.1056/NEJMra010200. 14. Cantarini L, Lucherini OM, Muscari I, et al. Tumour necrosis factor receptor-associated periodic syndrome (TRAPS): state of the art and future perspectives. Autoimmun Rev. 2012;12(1):38–43. doi: 10.1016/j.autrev.2012.07.020. 15. Hull KM, Drewe E, Aksentijevich I, et al. The TNF receptorassociated periodic syndrome (TRAPS): emerging concepts of an autoinflammatory disorder. Medicine (Baltimore). 2002;81(5): 349–368. doi: 10.1097/00005792-200209000-00002. 16. Bulua AC, Mogul DB, Aksentijevich I, et al. Efficacy of etanercept in the tumor necrosis factor receptor-associated periodic syndrome: a prospective, open-label, dose-escalation study. Arthritis Rheum. 2012;64(3):908–913. doi: 10.1002/art.33416. 17. Caorsi R, Federici S, Gattorno M. Biologic drugs in auto inflammatory syndromes. Autoimmun Rev. 2012;12(1):81–86. doi: 10.1016/j.autrev.2012.07.027. 18. Ter Haar N, Lachmann H, Еzen S, et al. Treatment of auto inflammatory disease: results from the Eurofever Registry and a literature review. Ann Rheum Dis. 2013;72(5):678–85. doi: 10.1136/annrheumdis-2011-201268.